I mentioned in my last post that I had to switch to a more neutral polish for work. Well, here it is! OPI Barre My Soul is from the OPI NYC Ballet Soft Shades Spring 2012 Collection. (It’s already been a year?! OMG time flies!) Anyways, Barre My Soul is a light white based beige. I wore 3 thin coats of Barre My Soul in these photos. It did not look like I was wearing any polish at all! I loved how Barre My Soul managed to camouflage the stains on my nails. Under certain lights it looked like I had perfectly unstained nails! Of course I am going to add to this manicure! How can I just leave it barre right? It’s about time I posted about my lucky win at Naked Without Polish don’t you think! The first polish I have today is Witchy Woman by Darling Diva Polish. 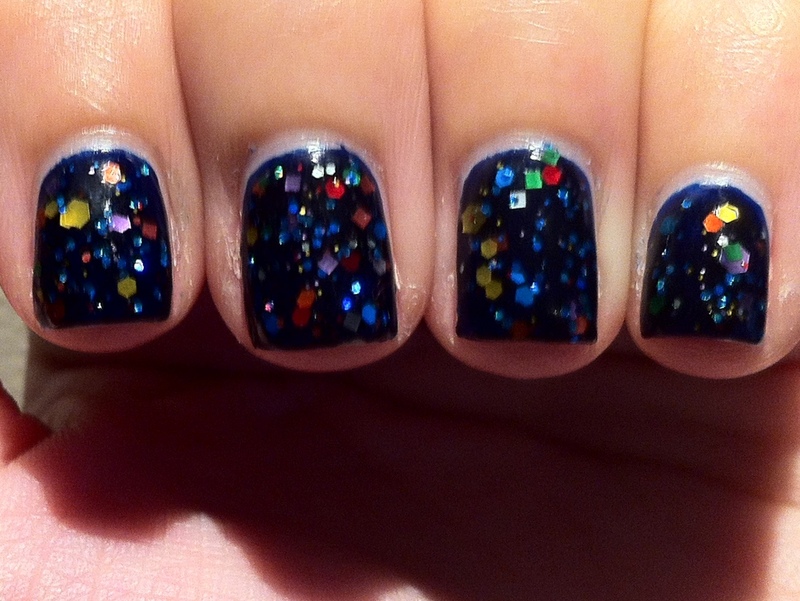 Witchy Woman is a black jelly based packed with different sizes of multi colored rainbow glitters! Application of Witchy Woman was easy peasy! All the glitters came out nicely in one swipe. No dabbing required! I love how the glitters are in Witchy Woman. I don’t know about you but it reminds me of corals under water. It wore quite well too! What you see here is actually photos of the manicure on it’s third day. Aside from the little chip on my middle finger from opening a can of Coke, all is well. As soon as I got this polish I knew I wanted to layer this over Cult Nails Time Traveler. This is Time Traveler at just ONE coat! Look at how opaque and deep the color is! Ahh! I just realised why the polished chipped a little! 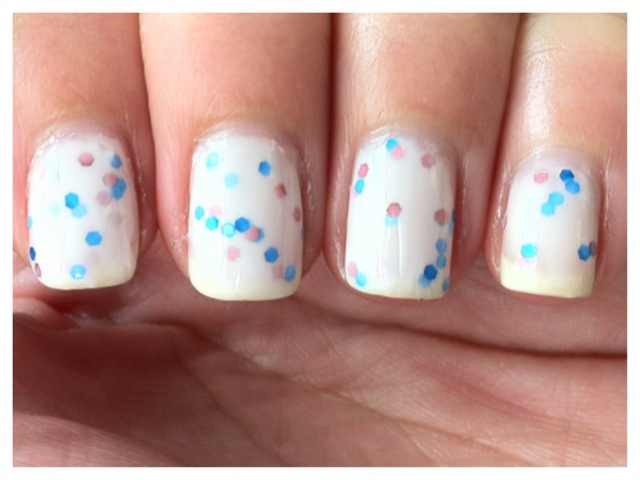 This manicure is only 2 coats + top coat! I decided to go super cutesy for my birthday! My polish of choice is Funfetti by Sunny from 365 Days of Color! I always loved this color but never brought myself to get it because it had bar glitter in it. 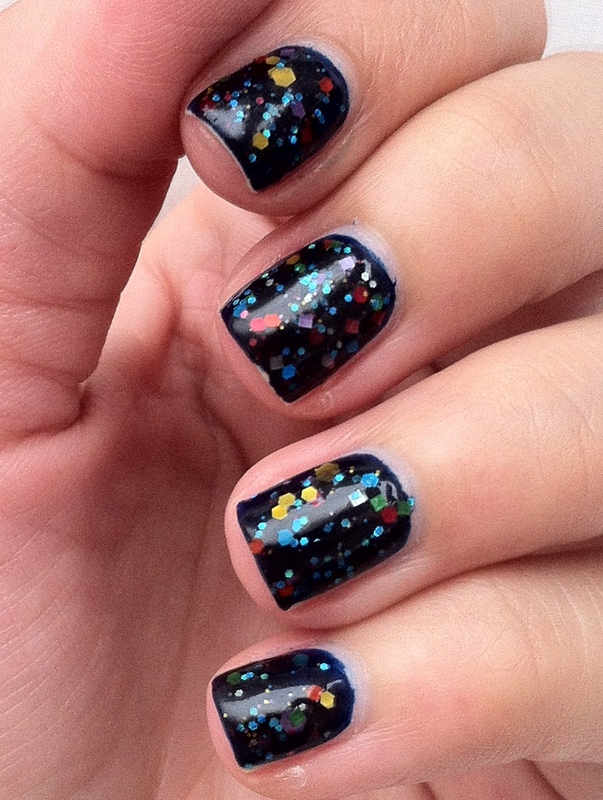 I am not a big fan of bar glitter so I would avoid it whenever I can. But this polish I have in my hand is a new formulation of Funfetti! This has all the same glitters in it minus the bars. How perfect is that for me right?! Anyways, the photos below are 3 coats of Funfetti on it’s on. It went on quite smoothly and the glitter came out easily. No need for fishing for glitter here! Do you notice any difference in my photos today?? Do you see it now?? The first photo is taken in the shade under indirect sunlight and the second photo was taken in my boyfriends house under this new standing light that they have! I was alone in the hall and had nothing to do so I just switched it on and took some photos. To my surprise the photos came out lovely! Way better than usually do in fact! Maybe I should save up and get one of these lamps as well.. Hmm.. Have to go find out the price of it first. I love the variety of this polish. None of my fingers looks the same. Of course I had a favourite! My favorite nail from this mani – my middle finger! With the two square glitters, it really stands out. Like an accidental accent nail! And as usual, my left hand with a lot more glitters! The ring finger has a huge brown hex glitter as an ‘accent’ again. I’ve been so busy posting new stuff that I have ignored many posts in my draft folder. So, for the next few days/weeks I will be posting those oldest in the draft folder before I move forward. Hope you’ll like them! 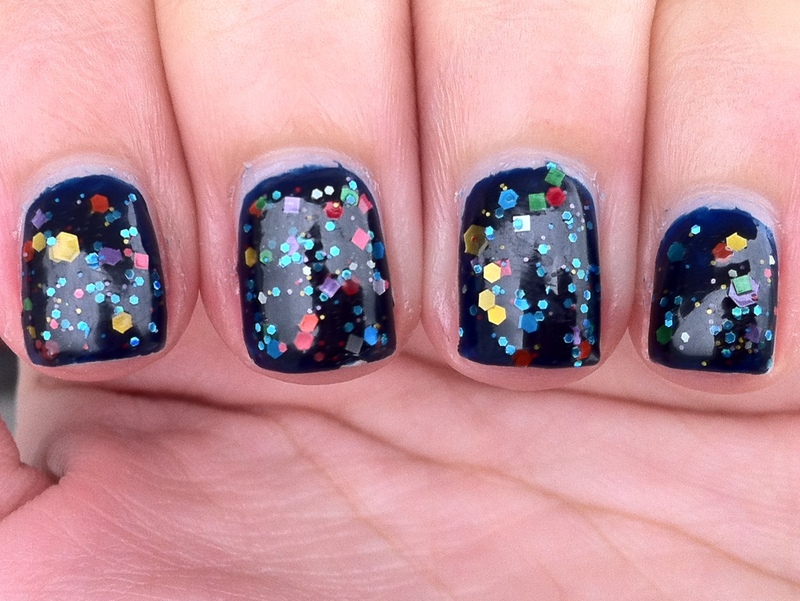 Another super duper awesome polish from Sunny at 365 Days of Color! 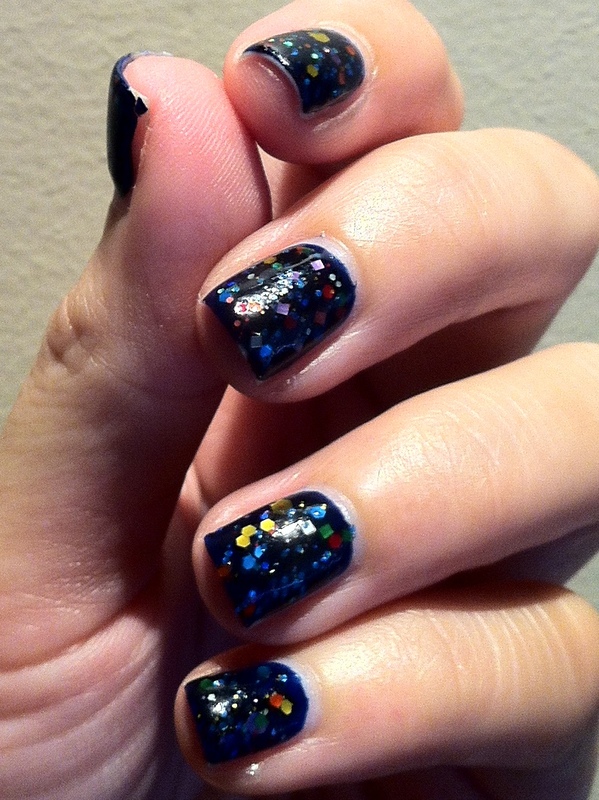 It applied wonderfully and I did not have to do much to get the glitters on mu fingers. I looooooved this soo much. The color combination. The jelly-ness. The ease of application. It is definitely a winner in my books! I wore this alone (3 coats) topped with Cult Nails Wicked Fast. My Pointe Exactly is a sheer grey jelly I got when I picked up some polishes from the OPI x NYC Ballet collection. 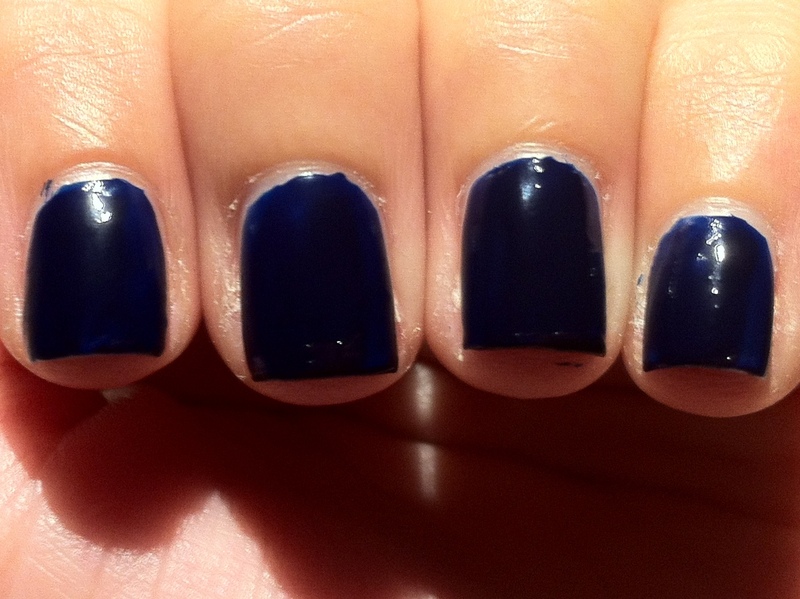 Although this polish is super sheer – the photos below are of 3 coats with top coat, I actually quite liked it. The consistency of this polish is wonderful and it dried fairly quickly to a shiny finish. The colour of this polish is also quite interesting. It has a slight brownish base to it. If you wear it on it’s own, under certain lighting you would actually think it’s a light brown instead. 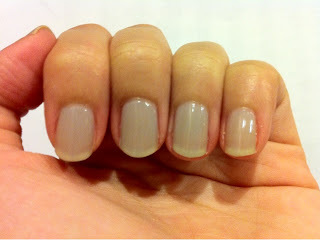 If you are looking to get a more opaque look with this polish, I do think is achievable with thicker coats. It was almost 1 am when I finally decided on which polish to use. So by the time I moved on to my right hand I was a little dozy and accidentally applied waayy too much polish on my thumb at the third coat. It took a little longer to dry but it still looked fabulous!